A concert at Oslo Spektrum on Saturday 30 April 2016, was announced today. This will be the last concert of the Cast In Steel Tour according to the official site, and is to be held on the same day as the next a-ha fan convention in Oslo. “It would have been very strange not to bring the tour back home to Norway. After all we’re touring with a big arena production and there have been lots of offers coming in here at home”, Magne tells VG today. 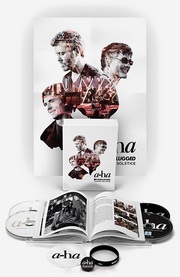 This will be a-ha’s ninth concert at Oslo Spektrum, and marks the 25th anniversary of their two opening concerts of the then-brand-new venue in January 1991. “We have basically done it all in Norway; there isn’t much we haven’t tried, after having played everything from the gigantic concert at Frognerparken to small club gigs. Therefore it was natural to connect this to another anniversary”, he says. “It’s fantastic to have the album go top 10 both in the UK, Germany and here at home, and it’s so exciting to see all the interest surrounding the band, 30 years after we started. We took nothing for granted in the years we were gone, but we’re sensing a very positive vibe around the band. 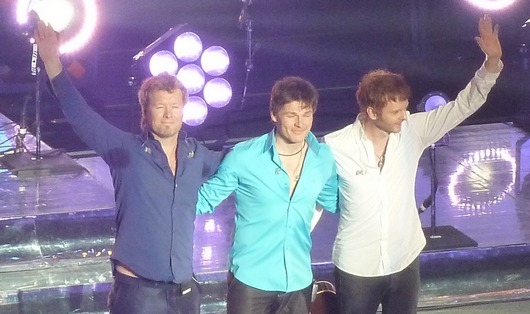 This is the rewarding part of being an a-ha member; sold out venues, big enthusiasm and much affection from the fans”. The a-ha.com member pre-sale for Oslo Spektrum begins Wednesday September 16 at 9am, while general tickets go on sale Friday September 18 at 9am.